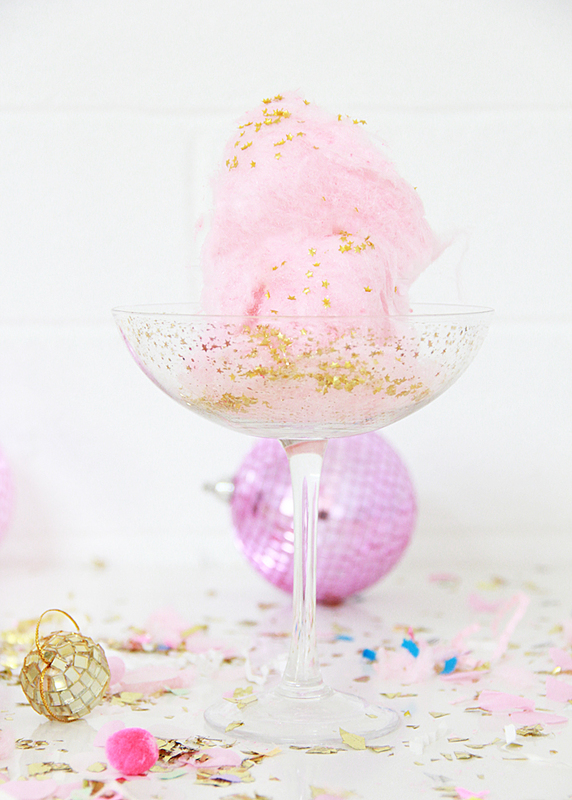 This blog post is pretty much what my dreams look like- cotton candy, pink, gold glitter and sparkling wine. I am a simple woman. Well, my husband most likely disagrees with that statement, BUT, I am very easily amused. 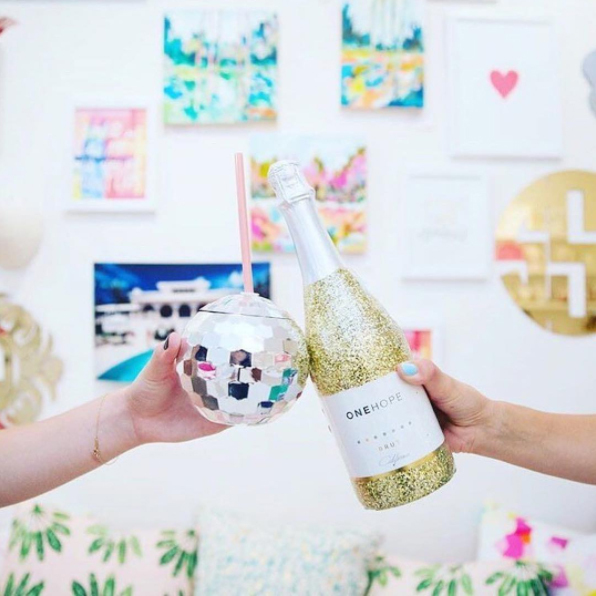 When ONE HOPE wine contacted me to share their gorgeous exclusive glitter bottles, I leaped to the occasion. ONE HOPE wine is more than just delicious wine, they give back to the community and each purchase provides proceeds to a variety of charitable organizations. 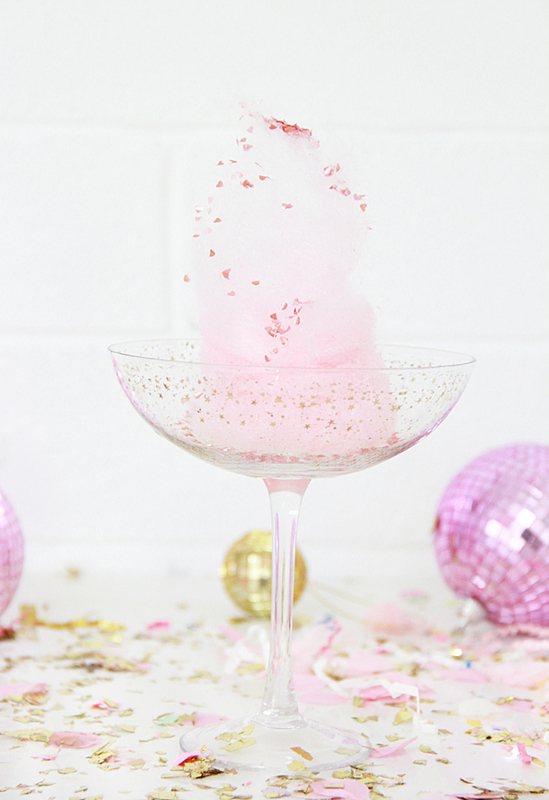 I was already a huge fan and so I shared with them my dreams of a cotton candy sparkling wine cocktail with edible glitter. And then they shared this disco ball photo below with me. 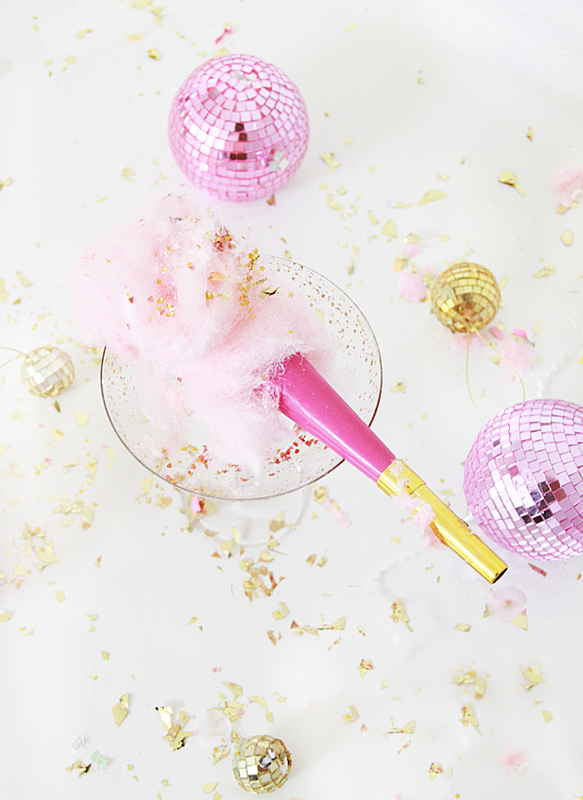 It was like a match made in disco ball glitter heaven. 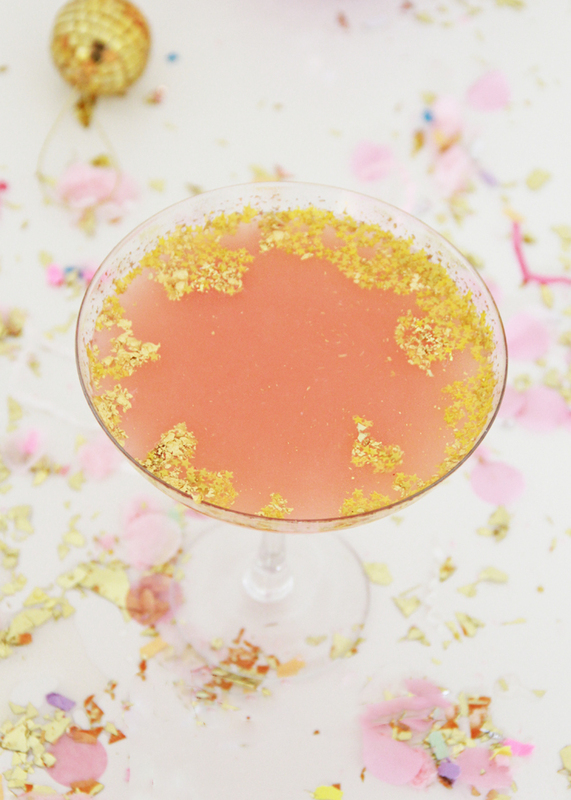 Now, onto the perfect cocktail for all your holiday celebrations. 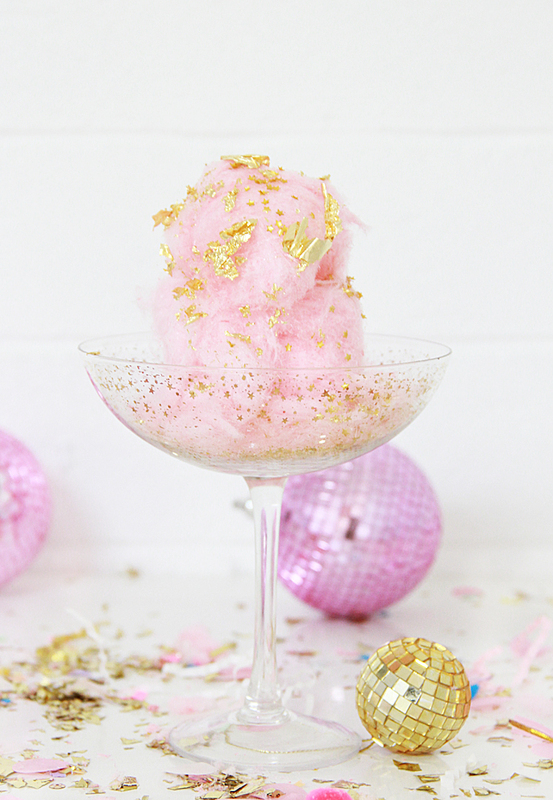 The cotton candy and glitter is mostly for presentation. 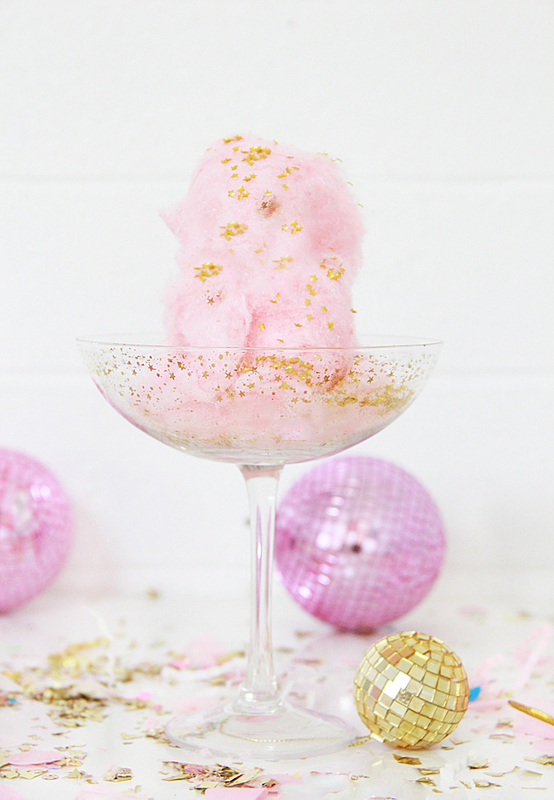 Line your tray with glasses and top each glass with some cotton candy and edible glitter. 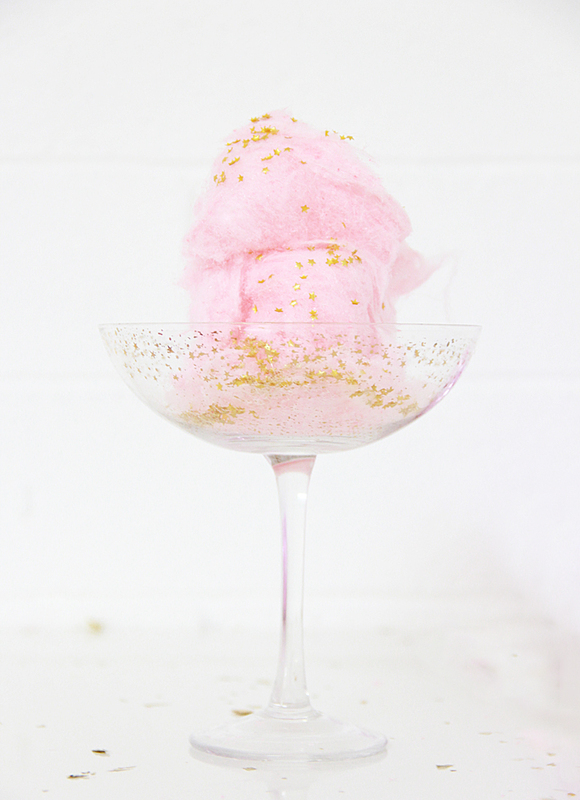 When you pour the sparkling wine, the cotton candy dissolves. 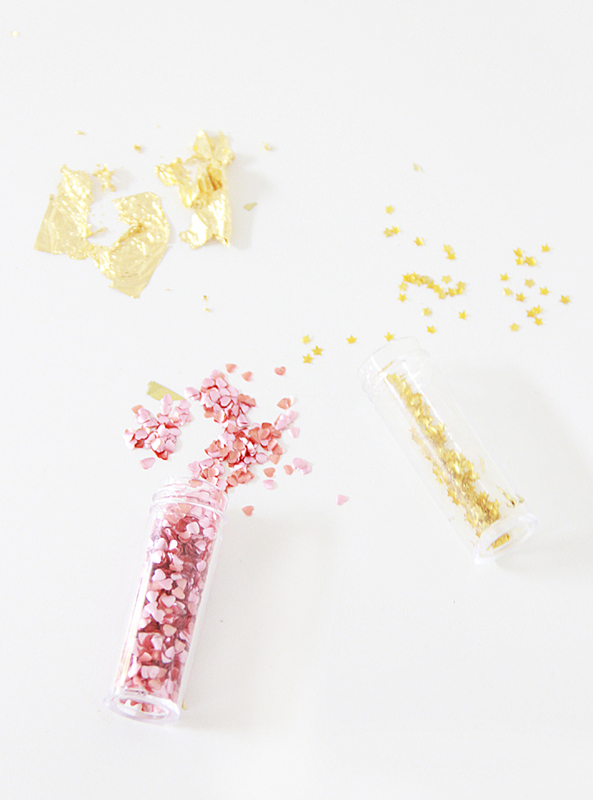 Some of the edible glitter will dissolve as well and some will remain and float their gorgeous glitter stars in your drink. And, it makes your sparking wine pink. How awesome is that? Pretty flipping awesome if you ask me. But, read the notes below. 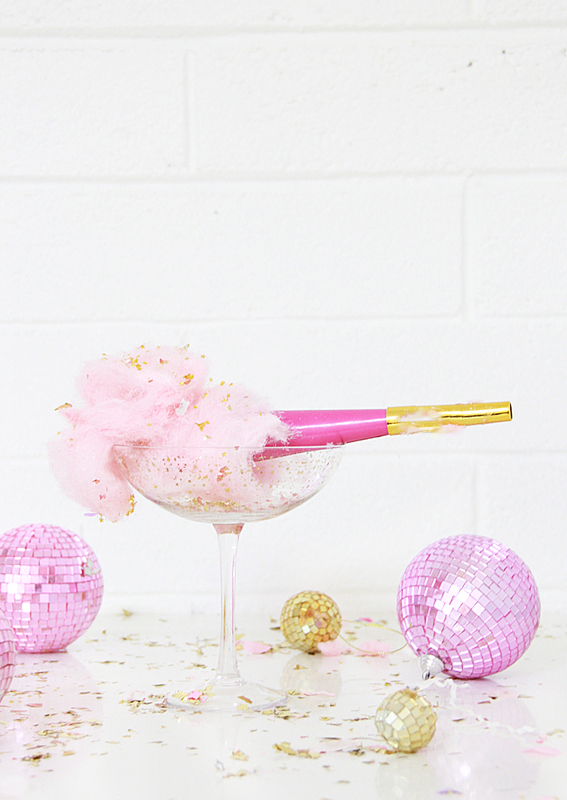 If you are looking for a holiday cocktail, particularly to ring in the New Year, this is for you!